Atlanta’s Music Midtown 2012 proved to be a success after selling out of all the single day passes for Saturday and having an estimated 52,000 people at Piedmont Park for Saturday’s show. It featured top artists such as T.I, Ludacris, Avett Brothers, Florence and the Machine and Pearl Jam. 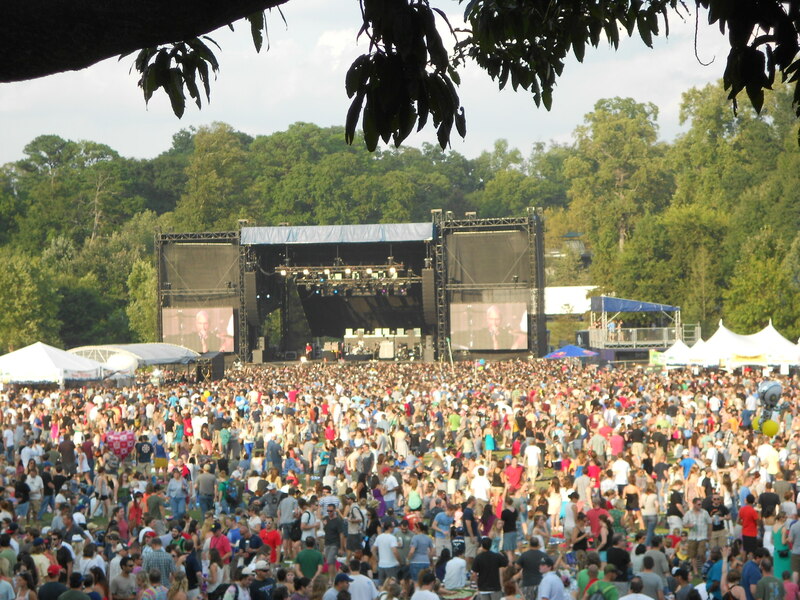 The solid lineup and beautiful weather helped guide Music Midtown 2012 back to its glory days. The last three acts of the night (Florence and the Machine, Girl Talk and Pearl Jam) set the bar for next year’s festival. Although Florence and the Machine had a few technical difficulties in the beginning of their set, they quickly recovered. After a few songs, the lead singer Florence Welch seemed very relaxed and poised in her stunning pink and black floral gown. Welch has a uniquely stunning voice and connects with her audience in a way that many artists are unable to do. She uses the stage as her platform to express herself and whenever she commits to a note in a song, she goes all in. As an up and coming artist, DJ Gregg Michael Gillis, otherwise known as Girl Talk, stormed the stage mixing and mashing hits from today as well as hits from twenty years ago. His mash-up selection had something for everyone: Eminem mixed with Adele, Metallica with Rihanna, Tag Team with Teenage Wasteland and much more. His stage performance was electrifying, from the crowd of kids dancing behind him on stage to the impressive light show that started a rave in the park, his performance was a great lead in to the headlining performance by Pearl Jam. Pearl Jam’s two-hour set started with “Why Go Home?” and shortly after vocalist Eddie Vedder had the crowd singing along when they played “Better Man.” They also dedicated a song to their former producer, who they announced was in attendance for the performance Saturday. Their genuine love for music and mutual respect for each other was apparent throughout their entire set. Most would agree that they would still being playing without being paid, but thanks to their incredible fan base they do not have to worry about money.